A driveway is a part of your home that you hope you never have to replace. 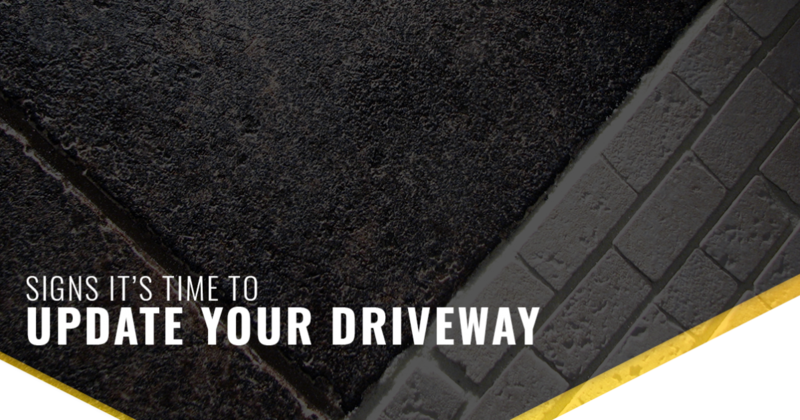 Unfortunately, there are times where your driveway is begging to be replaced. If you’re not entirely sure whether or not this is a project that you need to take on, keep reading. Today we’re going to provide you with some insight on when your driveway needs to be replaced and some of the signs that will tip you off to this. When you start to see cracks covering your driveway, you can assume that it is time for a replacement. This is an issue that happens for not only concrete driveways but asphalt driveways as well. Even though driveways may last decades, cracks are sure to happen with the wear that mother nature and her storms can take. Another reason that you may start to notice cracks expanding in your Bucks County driveway is because of the cool temperatures that we’re sure to see during the winter. When snow begins to melt, the water will find a way into a crack and start to expand it. This is one of the reasons that we suggest having any cracks in your driveway taken care of sooner than later. A major sign that your driveway needs to be replaced will be standing water. When your driveway is in good condition, water isn’t going to be a huge problem for you to deal with. Often, it will run off the driveway or evaporate — the initial design and paving of your driveway is designed to factor water in. However, when water starts to build up, you wind up with a bigger problem. Standing water can weaken parts of the driveway and lead to an increase in the number of cracks and potholes. The good news is, it’s not always a full driveway replacement that needs to occur in these instances. At times, it may just be a small change to help reduce the amount of standing water in the future. When it comes to driving, potholes may very well be the worst thing to come across. These holes can form in just a matter of time. While they’re not exactly easy on the eye, they’re far worse on your vehicle. These holes form when the ground below your driveway begins to expand and shift. Given that there’s no way for you to avoid this from happening, the best thing that you can do is ensure that these potholes don’t get any larger. As we mentioned before, when water finds its way into the cement, expansion becomes a problem. Water isn’t the only thing that will affect the size of the pothole. The more that you drive over it and put that pressure on the pothole, the larger it will get. Again, taking care of these issues when you see them is the best way to handle the situation. The longer they go without care, the bigger of a repair you can anticipate. With over 60-years of experience, Frank Harrison has been able to provide homes in the Bucks County area with high-quality pavement jobs. Whether you’re in need of repairs or you’re in need of a full-blown driveway replacement, we have got you covered. Reach out to our team today to learn more about the pavement process or to ask any questions that you may have — we’re always happy to help! ©2018 Frank Harrison Paving® - Do not copy. All rights reserved.